January 30, 2018 - Dolphins vs. Octopusus: Showdown in the sea! a podcast for kids and curious adults by Brains On! March 21, 2016 – Dr. Denise Herzing: chatting with a connoisseur of dolphin communication podcast by "People behind the Science". March 11, 2016 – "Are Dolphins Brilliant? 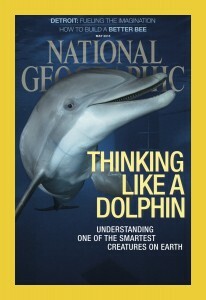 Dolphin society, Language, and Behavior - A 30 year study." Gallivanting podcast. Summer 2014 – Lynn Levy with Radiolab was recently out with the Wild Dolphin Project during the 2014 field season. Click here to listen to the podcast. April 9, 2014 – Marketplace Tech – Dr. Herzing's interview on NPR on the CHAT system. April 17, 2012 – How on Earth – Jim Pullen talks with Dr. Herzing about how she communicates with Atlantic spotted dolphins. April 12, 2012 – Radio Green Earth – listen as Jim Jackson speaks with Dr. Denise Herzing about Atlantic spotted dolphin communication. January 18, 2012 – "Talking with Animals" – Listen as Duncan Strauss speaks with Denise Herzing as she talks about her new book, "Dolphin Diaries". September 13, 2011 – Podcast with Charlie Dyer at KNews FM. To find the podcast, click the link and look for Dr. Herzing's interview on 9/13/11.